I use and/or recommend the resources below for entrepreneurs. These resources are ones I've found to save me the most time and money, be the most efficient, and give me the least amount of headaches with the best customer service. For a full list including some of the ones listed below, click the button below to receive a free pdf checklist of resources I use and recommend. Links below could be affiliate links which gives me a small commission but does not cost you any money. Grab Your Free Resources List Here! I use Asana to keep track of all of my to-do lists, especially the ones I use over and over, like preparing a podcast episode. Because I am the only one working in my business right now, the free version of Asana is perfect for me. Bonus: it's FREE. At this point in my business, I use Click Funnels to manage my email list and my funnels for opt-in and sales sequences. I also have the ability to use Click Funnels for an affiliate program, course hosting, and a membership site. 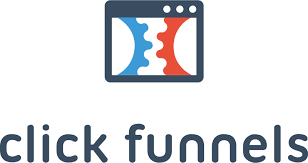 Click Funnels allows me to accomplish multiple things in my business with only one software, and it is simple enough for me to use as a non-technical person. Bonus: This Click Funnels link will give you a two-week free trial to determine if it is right for you. I use G Suite for my business email, as it allows me to have a personalized domain name and several email accounts. I also use the Google Drive storage, the Boomerang feature to schedule emails to be sent, and the Boomerang feature to have emails ‘boomerang' into my email inbox for follow up if needed. Bonus: This G Suite link will give you a two-week free trial to determine if it is right for you. 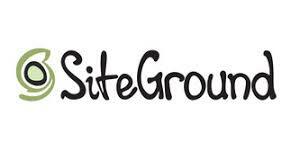 I use SiteGround for web hosting for my website. The process was easy to set up my website, and the customer service has been great when I had a question. There are also tons of support documents on the site that I used quickly and easily. I am pleased with my choice, especially with the price, and I wish I had changed sooner. Thrive Cart has many functions, including serving as a payment processor with funnels, upsells, and one-time offers. 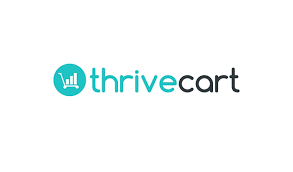 Thrive Cart integrates with multiple programs. The bonus with this software, in my opinion, is my purchase was a one-time payment for lifetime access.